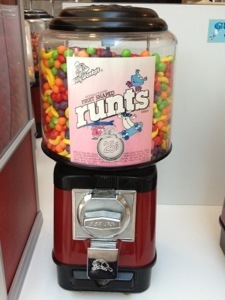 When was the last time you put money in a gumball machine? How much did it cost? 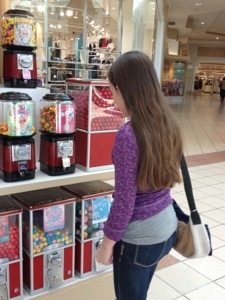 I might be dating myself here, but I still remember a time when gumball machines were only a penny to use. Now the going rate for the “cheap” treats is a quarter. A quarter! At this rate, my children won’t even know how to use a penny! 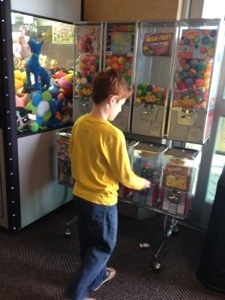 My son is a gumball machine fanatic. 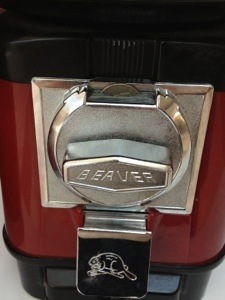 Anytime he sees them, he can’t resist the appeal of checking to see if anyone left a toy or perhaps forgot to turn the dial all the way to release the candy. Almost always he is disappointed. Even so, he still checks again and again with giddy anticipation of what might be left behind. Channeling this wonderful childhood innocence, we decided to make this our next Random Act of Kindness. Armed with quarters and joy, we went to Kroger to leave quarters in gumball machines. 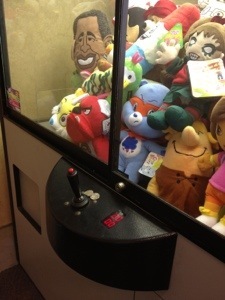 We even left a few quarters so someone could try to win a stuffed animal, too. This Random Act of Kindness was so much fun I decided to do it with my daughter, too, as we went to the local shopping mall. 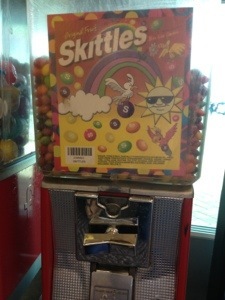 Following our shopping trip, we returned to discover a little boy dancing around the machines and all the quarters gone! 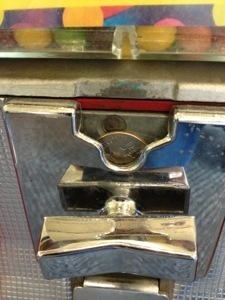 The next time you have a pocket of change, pick out a few quarters and put them in some gumball machines. You will absolutely make a child smile, guaranteed!